Storey Publishing, LLC, 9781603429672, 224pp. Raise a flock of sheep in your backyard. Even with a limited amount of space, you can enjoy homegrown fleece and fresh milk, as well as the endearing company of these family-friendly animals. Sue Weaver provides all the instructions you need for selecting a breed; housing and feeding; harvesting fleece; and milking. With simple recipes for making cheese and yogurt, and tips on processing fleece for wool, you’ll enjoy the varied and numerous rewards of keeping sheep. 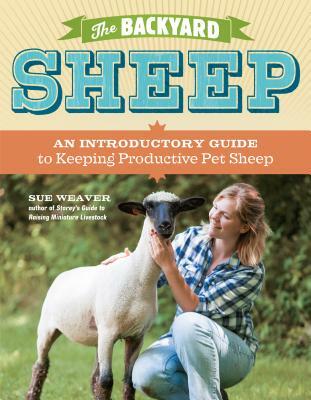 Sue Weaver has written hundreds of magazine articles and many books about livestock, horses, and chickens, including The Backyard Cow, The Backyard Goat, The Backyard Sheep, Storey and The Donkey Companion. Weaver and her husband share their ridgetop farmette in the southern Ozarks with an array of animal friends.